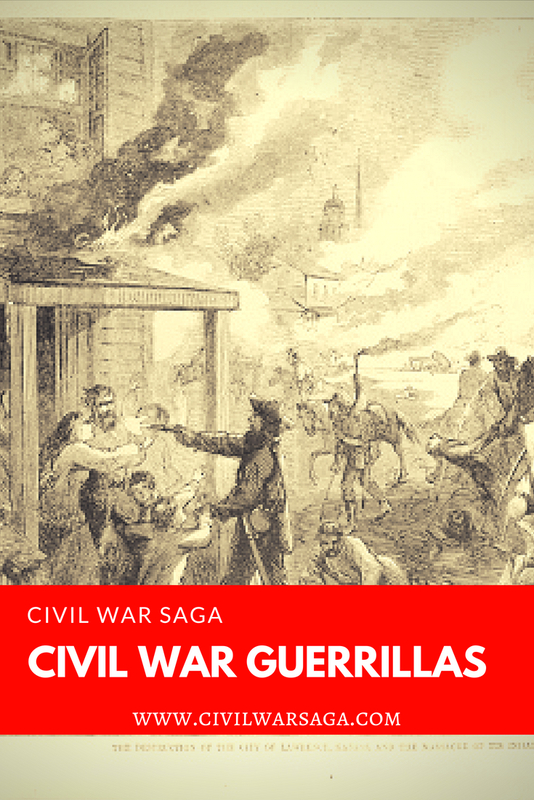 Civil War guerrillas were unofficial soldiers who wanted to fight in the Civil War but didn’t want to leave their homes or families behind to march off to war. These guerrillas instead opted to join guerrilla groups who protected local towns, fought in skirmishes with nearby troops and engaged in other activities related to the war. Much like official soldiers, these unofficial soldiers weren’t just white men. Some of the guerrilla fighters were also women and Native-Americans. The Jawhawks were pro-Union guerrilla fighters who operated primarily in Kansas where they often clashed with Border Ruffians and Confederate guerrillas like Quantrill’s Raiders, who were from neighboring Missouri. The Jayhawks had existed long before the Civil War but after the war broke out they were officially recognized by the Union as the 7th Regiment Kansas Volunteer Cavalry. James H. Lane was the original leader of the pro-Union Jayhawks. Lane had served as a U.S. senator in 1861 but promptly returned to Kansas to join the war effort. In Kansas, Lane organized units to combat the Confederate guerrillas who terrorized the towns along the Missouri and Kansas border. In 1861, Lane ad his unit launched an attack on Osceola, Missouri, during which nine residents were killed and the town was burned. The attack enraged William Quantrill who soon began to target Lane during raids and later carried out the Lawrence Massacre in retaliation for Osceola. In 1862, the Union army cancelled Lane’s command but he continued to fight and later organized the first unit of black soldiers in Kansas, the 1st Kansas Volunteer Infantry. After Lane was dismissed, the Jayhawks were then led by Colonel Charles Jennison and Daneil Anthony, who was the brother of Susan B. Anthony, acted as the group’s lieutenant colonel. Members of the Jayhawks included Buffalo Bill Cody and John Brown, Jr., son of famed abolitionist John Brown. Bushwackers were Confederate guerrillas who earned their nickname due to their tendency to hide behind foliage and tree lines when attacking their enemies. Bushwackers didn’t wear uniforms and were therefore difficult to differentiate from ordinary civilians. Partisan Rangers were a more legitimate type of bushwacker that were sanctioned by the Confederate Congress in 1862 with the Partisan Ranger Act, a law that allowed men to enlist for service in a partisan corp instead of the regular army. These rangers wore the same uniforms as the Confederate army but engaged in the same guerrilla warfare tactics as the Bushwackers. The Union army was unsure of how to deal with both of these types of Confederate guerrillas. In 1862, the Leiber Code, otherwise known as General Order 100, was issued and clarified how specific combatants should be handled. 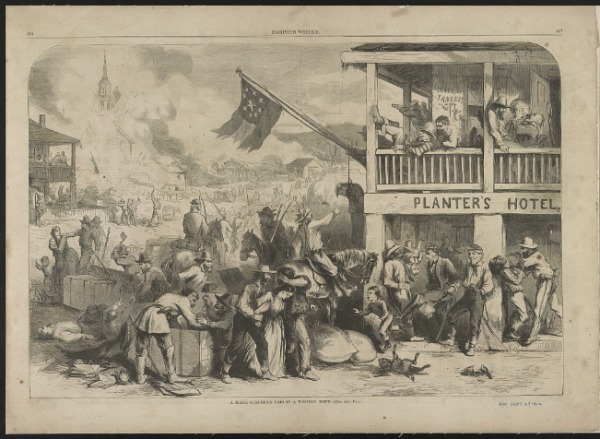 The Leiber Code detailed the difference between bushwackers and partisan rangers, stating that bushwackers were illegal combatants and should be shot if captured but partisan rangers belonged to the Confederate army and should be treated as prisoners of war. Only two partisan rangers groups were allowed to continue to operate: Mosby’s Rangers and McNeill’s Rangers. These two independent partisan rangers had a reputation of exercising military discipline when conducting raids. Quantrill’s Raiders were a particularly violent group of Confederate guerrillas led by William Quantrill. The group committed a number of massacres and atrocities such as the Lawrence Massacre in Kansas and the Centralia Massacre in Missouri. Other members of the group include brothers Frank James, Jesse James and Cole Younger. Mosby’s Rangers, led by John Mosby, was famous for its quick raids and its ability to disappear among the local farmers and townspeople. The group disrupted supply lines, capture Union couriers and gave information to the Confederate army. The group is most known for its raid on the Fairfax Court House, where they captured Union Brigadier General Edwin Stoughton, a few other officers, and a number of horses. McNeill’s Rangers were a Confederate guerrilla group from Virginia that was led by John McNeill. The group harassed Union troops, attacked supply trains and disrupted traffic and communications on the railroad. In 1864, Captain McNeill was accidentally shot by one of his own men during a raid and succumbed to his wound over a month later. The Nancy Harts Militia was a group of armed women, mostly wives of Confederate soldiers, who defended their homes and town of LaGrange, Georgia from Union attack. They trained weekly by conducting military marches and target practice. On April 17, 1865, after General Lee surrendered on April 9, the militia marched to the edge of LaGrange to meet the Union army and surrendered the town peacefully. The army destroyed facilities that were useful to the Confederate army but spared homes and property. Moccasin Rangers were a Confederate guerrilla group from West Virginia led by Captain Perry Connolly. The group gained notoriety by looting homes and farms, robbing families and was said to have murdered two people. The Confederacy enlisted the group as Company A of the 19th Regiment of Virginia Cavalry.